World Comics India is a Delhi based NGO, a grassroots organization that offers comics-workshops around India – and beyond. In a country where illiteracy is still wide-spread, images are powerful. The workshops are set up in collaboration with other organizations, each wanting to address different issues. 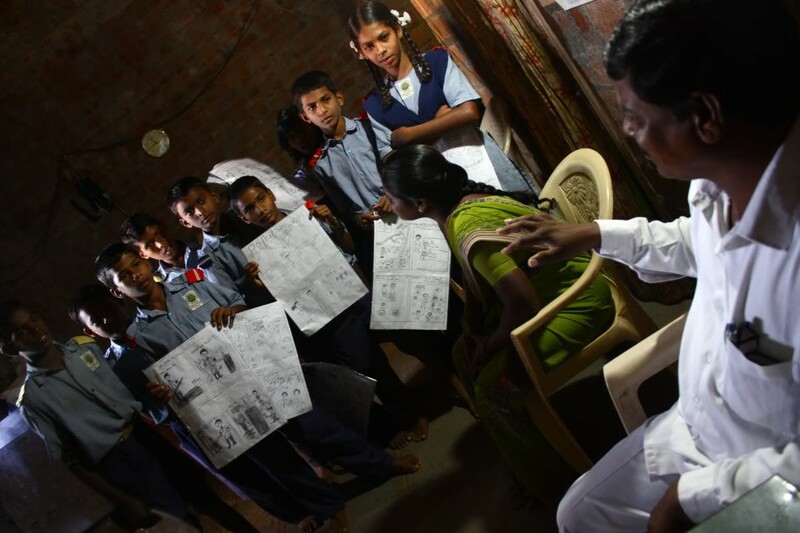 World Comics India provides these collaborators with a workshop-leader, who facilitates bringing their messages out to the community. White paper and a black marker, pen is all what is needed. In January 2010 I took part in a workshop with the Positive Women Network (PWN+) and Unicefn Chennai, in Tamil Nadu. The goal was to address the stigma of HIV positive families in the area. As we went through town hanging up the posters, the comics already stirred some conversations with the public, which the women and their children proudly addressed. Later that year, I lead the second workshop. This time it was a part of my drawing class in RDF Matendla School. The children’s issue of choice was the lack of garbage bins in the village. 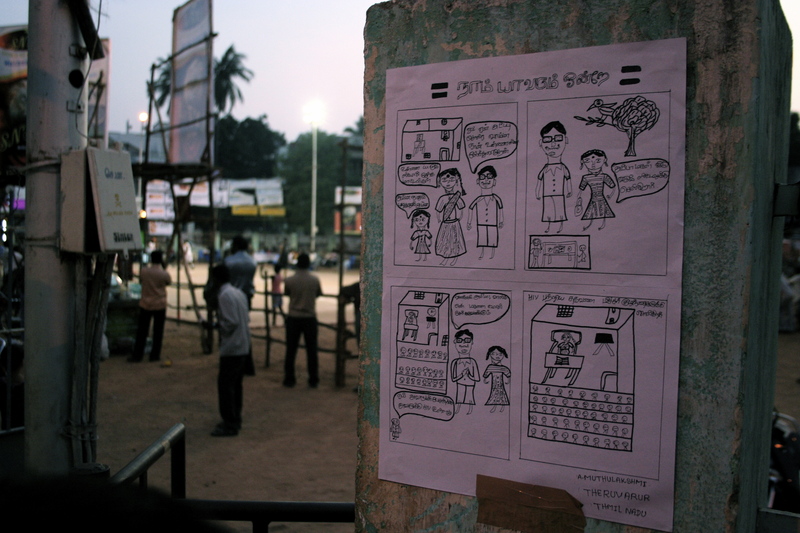 Not only did the children draw great comics and hang them in the public space, but they went to meat the village sarpant (the mayor) asking him to find a solution to this problem.